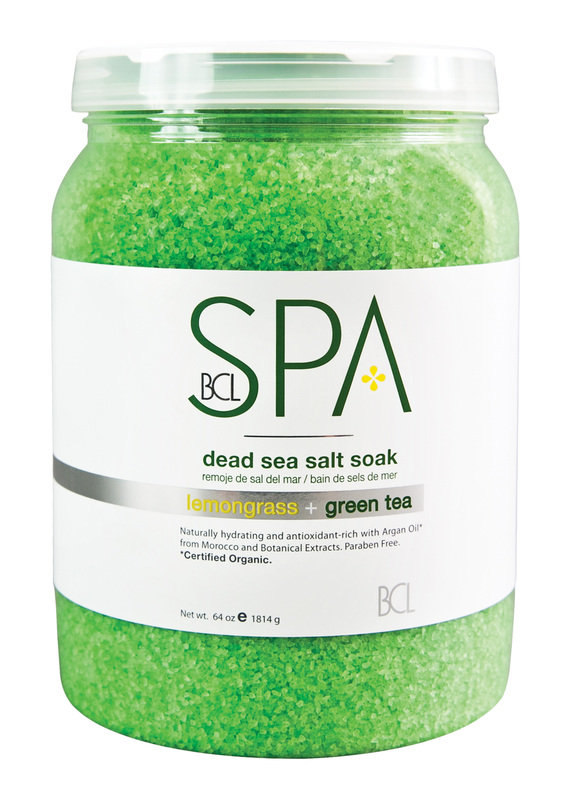 This naturally detoxifying sea salt soak cleanses the hands, feet, & body, leaving the skin purified & hydrated. Step 2 : Lemongrass & Green Tea Sugar Scrub ( SPA50002 ), Step 3 : Lemongrass & Green Tea Moisture Mask ( SPA50003 ) and Step 4 : Lemongrass & Green Tea Massage Cream ( SPA50006 ). Also available in 16 oz ( SPA51101 ). Lemongrass, a natural antiseptic, regulates the skin's oil secretion and minimizes pores. Green Tea neutralizes free radicals and reverses the skin's sun damage. Deeply nourishes while evening skin tone and protects from environmental stressors, such as UVA/UVB rays. Formulated with patented Pearl Moon Complex™ infused with Kojic Acid, Rice Water, Milk, Ginseng,Volcanic Silt and Pearl to reduce the look of age spots, scars, fine lines, wrinkles and hyper–pigmentation due to age.